Gucci bags are known though the entire world for their unique designs and best quality manufacturing. However, today’s fashion world is filled with replicas of almost every high-end fashion maker. You will find these fake companies making extra money by selling fake products. Same is the case with Gucci bags as there are many companies in the market who copy their products and earn huge foreign exchange. 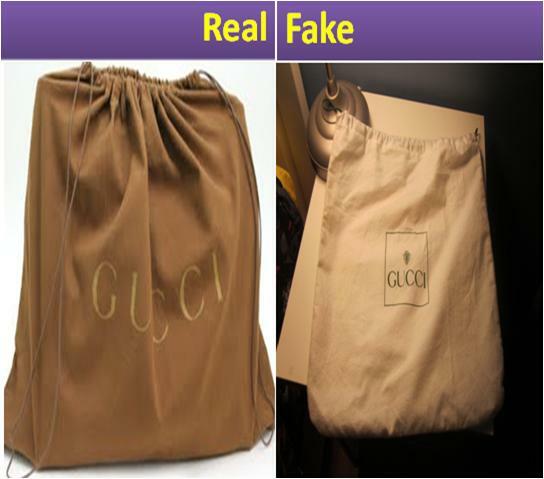 Therefore, whenever you purchase a Gucci bag, you want to make sure that you are spending money on an authentic product. Unfortunately, it can be very difficult to do so as some replicas are becoming very difficult to tell apart from authentic Gucci bags. 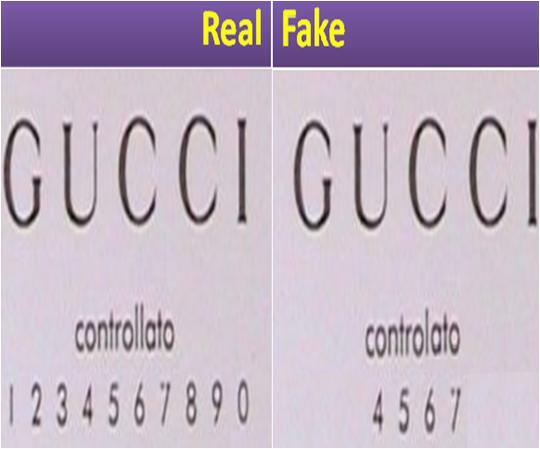 Knowing how to spot fake Gucci bags will help you buy an original bag with confidence. 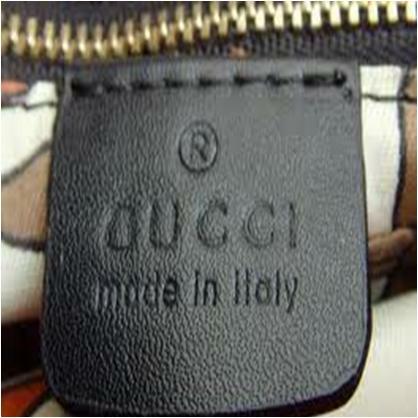 Original Gucci bags contain a neat and clean label saying “Made in Italy.” If you find a so-called Gucci bag with a label saying it is made somewhere else, then it is definitely a fake Gucci bag. 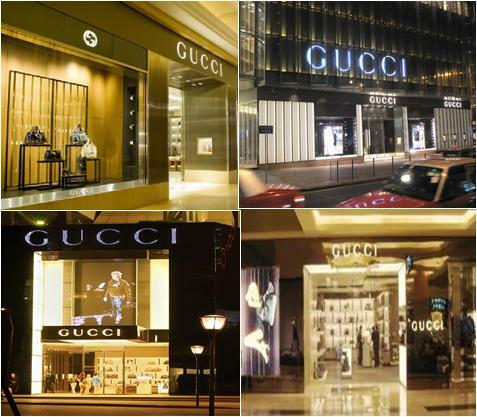 Never trust any other store other than Gucci’s licensed retailers. 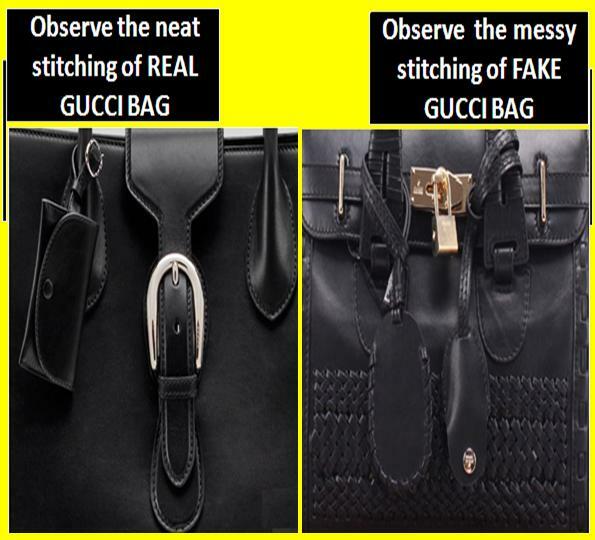 Do not expect to find an original Gucci bag in every second or third store as they place their products only in a of handful-licensed outlets. An original Gucci bag contains a serial number of four to six digits. Now what you have to do is, match it with the certificate of the authenticity of the Gucci bag. If you find both of them similar then it is an authentic Gucci bag for sure. Otherwise, you have the right to raise questions regarding its authenticity. Original Gucci bags are purely made of fine quality leather in one flawless piece. 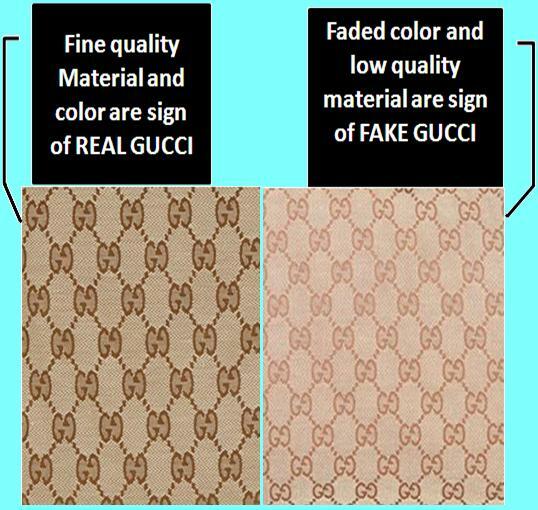 Bags with patches of leather pieces or a low quality leather material are clear signs of fake Gucci bags. Gucci bags are handmade without any loose end. Smooth stitching and sturdy material are the signs of an authentic Gucci bag while a gig with uneven stitching, crooked and glued down material is un-doubtly an unauthentic Gucci bag. Do not even think of a real Gucci bag without a best quality duster. 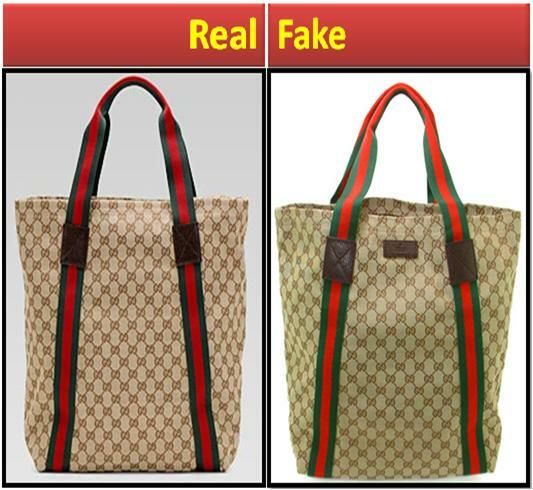 A bag without the duster will obviously be a fake Gucci product. Completely check all hardware of the Gucci bag including the clasps, external and internal zippers, buttons, handles etc. 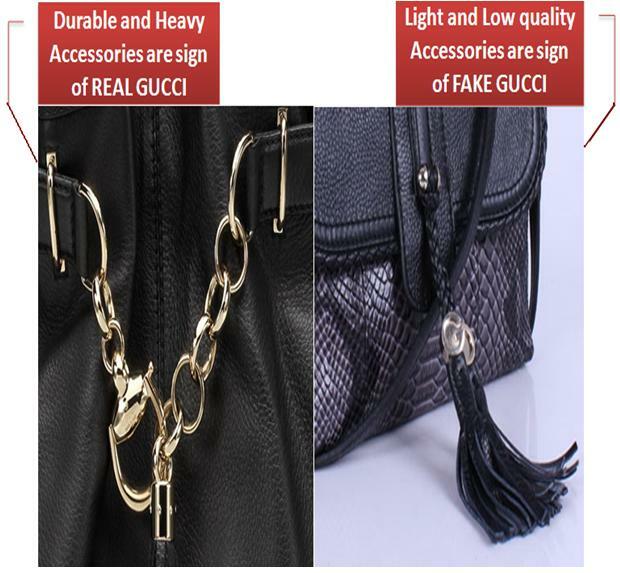 If you find the accessories durable and slightly heavy, then buy the bag with pleasure as it is an authentic Gucci bag. On the other hand, cheap and flimsy hardware is sign of a replica Gucci bag. 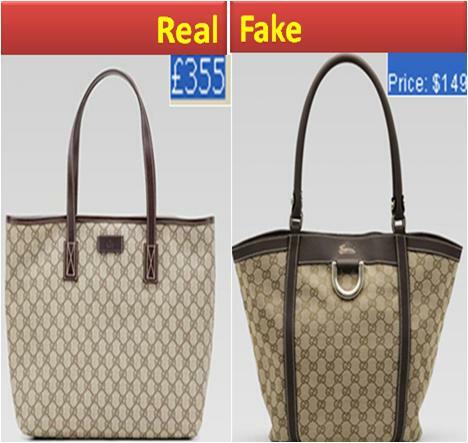 Study the price tag of the bag; Gucci’s bags are no doubt expensive as they provide you best quality product in return. Real Gucci bags range between £290 to more than £1500. A bag with a price tag below hundred dollars can be a replica. Last but not the least, sign into the official Gucci Website and go through the photos of Gucci bags. You will get an idea of their quality and styles of bags.